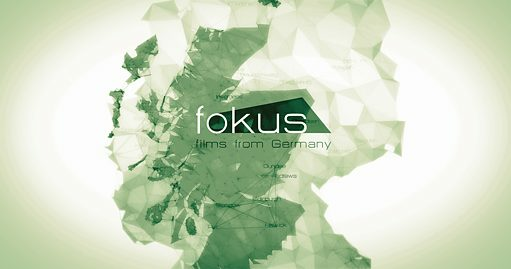 Welcome to the fourth edition of Fokus: Films from Germany! This year, we are presenting a particularly exciting and eclectic snapshot from the contemporary film scene in Germany. Alongside a selection of documentaries, we are presenting some beautiful new feature films as well as glimpse into the oeuvre of iconic filmmaker Margarethe von Trotta. Come and join us for screenings in Edinburgh, Glasgow, Aberdeen, Ayr, Dundee, St. Andrews or up north in Huntly! We are starting our festival with a nostalgic and insightful look back into one of the most significant eras of Germany’s recent musical past. In Conny Plank – The Potential of Noise, Stephan Plank, his son and the director of the film, starts a journey of rediscovering his father through the stories of the musicians he worked with. Working with bands like Kraftwerk, Neu!, DAF and many more, Conny Plank produced the iconic “Krautrock” sound and his studio became the place where musical history was written. Our documentaries Beuys and Wildes Herz (Wild Heart) are approaching two very different artists who both combine their art with political engagement. In Beuys director Andres Veiel successfully assembles archival footage next to interviews and thus creates an illuminating portrait of seminal 20th century artist Joseph Beuys. Even more than 30 years after his death, Beuys’ artistic environmentalism and critique of capitalism is as timely as ever. 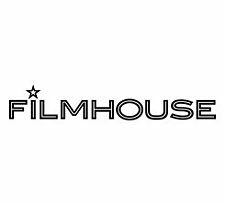 We are particularly excited to welcome director Andres Veiel to post-screening discussions at Byre World in St. Andrews as well as to Filmhouse Edinburgh! In Wildes Herz (Wild Heart), the camera follows Jan “Monchi” Gorkow, charismatic lead singer of the leftist punk band “Feine Sahne Fischfilet” on his 2016 tour “Not yet completely fucked” through the Eastern part of Germany. In an effort to mobilise their fan base against the rising right-wing forces in Mecklenburg-Vorpommern, “Feine Sahne Fischfilet” is taking a political stand, always closely observed by the German domestic secret service. Taking a very different perspective, the documentary Berlin Excelsior is occupied with the life of ordinary people, all assembled under the roof of the “Excelsior”. Soon, real life starts blending into make-believe as director Erik Lemke follows the inhabitants on their idealistic journeys into better lives. Will Norman be successful with his start-up? Will Claudia get back on stage? Will Michael find love? An intimate look into the life of extraordinary, ordinary people. Jan Speckenbach’s Freiheit (Freedom) and Frieder Schlaich’s Naomis Reise (Naomi’s Journey) both feature absent women dominating the plot of the film and families that are left to deal with the aftermath of their disappearance. Speckenbach’s 21st-century reincarnation of Ibsen’s heroine Nora leaves her family and drifts through Eastern European cities exploring a life outside motherhood. Schlaich’s titular character travels from Peru to Germany to give testimony against her sister’s husband and murderer. During the trial, she is confronted with the legal system’s structural racism and sexism. Interestingly, the film employed real judges, defense lawyers and prosecutors to play the judiciaries and we are very excited that director Frieder Schlaich will join us for a post-screening discussion at Filmhouse. For our younger audiences, we have selected young filmmaker Joya Thome’s wonderful first feature film Königin von Niendorf (Queen of Niendorf) – a serious but light-hearted portrait of a 10-year old Lea. Caught between childhood and adolescence, Lea is drawn to a boys’ gang and soon finds herself having to stand her ground and prove her place. Thomas Stuber’s In den Gängen (In the Aisles) takes place behind the scenes in a wholesale market somewhere in Eastern Germany. Newbie Christian, a shy young man who seems eager to leave his past behind, soon finds a place and friends in the team. Fatherly “Beverage Bruno” and mysterious “Sweets Marion” become his Ersatz family and the film manages to draw some surprisingly tender moments and poetic images from the mundane world of restocking and forklifting. With Western and Sehnsucht (Longing), we are excited to present two films by Valeska Grisebach, one of the exponents of the “Berlin School”. Exploring a tragic love triangle in a village in Brandenburg in Sehnsucht, Grisebach goes even further East in her newest film Western. A German construction site near a village in Bulgaria provides the backdrop for a tale of adventure, camaraderie, affection and the willingness to communicate across seemingly cultural divides. In our small retrospective strand, we are very happy to show four Margarethe von Trotta films featuring strong, uncompromising women. All of these - Katharina Blum, Christa Klages, Rosa Luxemburg and the German Sisters - will provide challenging, thought-provoking and political cinematic experiences. We hope that you will be able to join us for one or more of the screenings and discover some of our contemporary and historical gems of filmmaking from Germany.